L O V E! 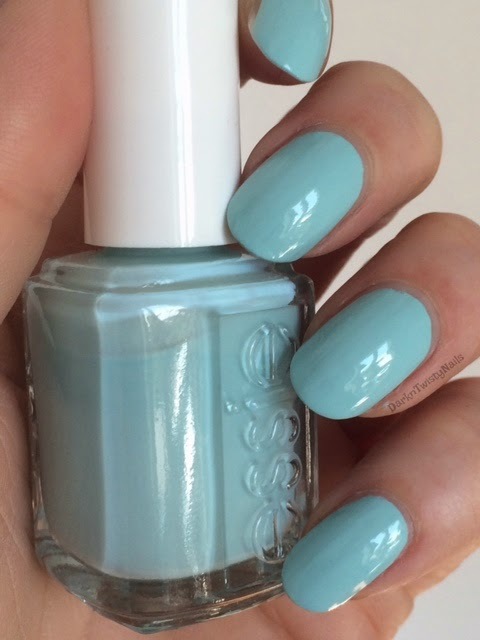 But sadly, Essie wasn't available in my little country yet, so I couldn't get my hands on it. But I kept pining after it and when I discoverd a little thing called internet shopping, I jumped for joy! Finally, this beauty was going to be mine! So in my helmer it went, or more acurately, the box I was using at the time as my stash was considerably smaller than now, only to be taken out to admire in the bottle or take part in nail art. For some reason, I felt the need to try it again last week and I couldn't believe my eyes, I actually liked it! I was planning to just swatch it, take a picture and take it off again, but I liked it so much, I ended up doing a full manicure! 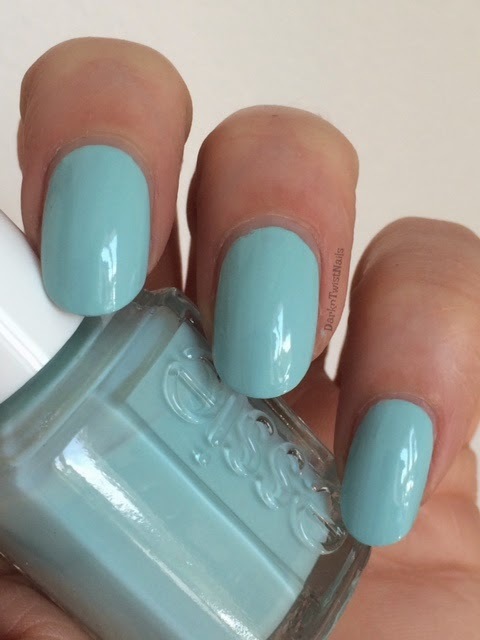 Essie Mint Candy Apple is a mint cream. It's part of their core collection and should be widely available. The formula is not the best, it's a little patchy and streaky and you need 3 coats to get it opaque. If you're really carefull when applying this polish, you might get away with just 2, but I just don't have the patience for it, so 3 it is. It does dry fast and shiny, so 3 coats isn't the biggest deal. Just look at that color, isn't it pretty? Why did I hate this so much on me? I went from liking it to really liking it to loving it, to L O V I N G it. 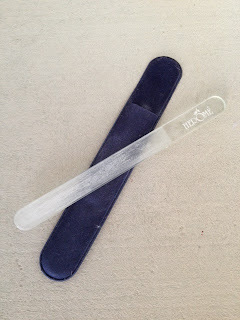 Since I ordered this online, this is the salon version, with the narrower brush. I happen to like this brush a lot better than the wide drugstore version that's being sold over here. What do you think? Is it just me and do you still think this doesn't match my skintone or do you like it too? I love a nice neon polish and I love a good glitter, so when I saw China Glaze was releasing 3 neon glitter toppers in their Electric Nights collection, I knew I had to have them all! China Glaze Can I get an untz untz is a mix of neon green, blue and purple small hex glitter in a clear base. These are iridescent glitter, so they show up best when layered over a light base. I layered it over white, to show off all the pretty colors. The formula is ok, it's a little base heavy, but I didn't have any problems getting the glitter out because they're all fairly small. I did need to do a little bit of dabbing to get the glitter exactly where I wanted it, but not a lot. My swatches are just 1 coat over white. Isn't that pretty? I absolutely love it! 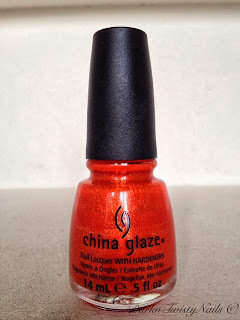 I prefer it over white, but I have worn this over China Glaze Treble Maker and I do love that too, but you do loose a bit of the glitter with a darker base. I got this polish at Hypnotic Polish, but since this is part of the newest China Glaze collection, you can get it pretty much everywhere that sells China Glaze. Do you like neon glitter or do you prefer a regular neon polish? 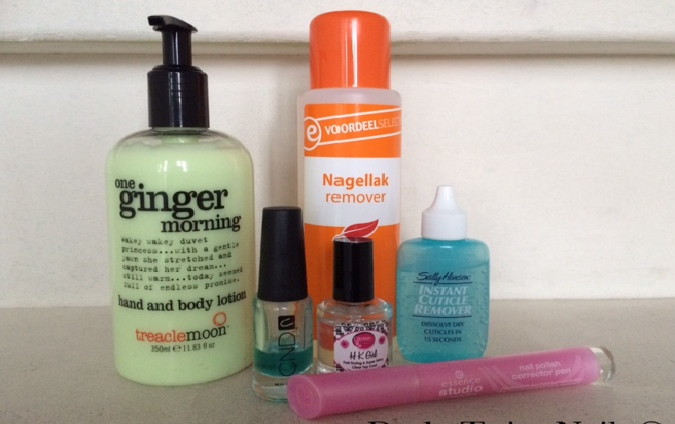 If you've been reading my little blog for a while, you probably know that I'm a huge fan of Picture Polishes. I just love their formula, even though I did finally come across the first with a trickier formula recently. In the last few months, I've picked up quite a few of them, so you're going to be seeing a lot of this brand here. Today I have one of their collaboration shades. Picture Polish Fool's Gold is a turquoise base with gold micro glitter and shimmer. It was created with Sam from The Nailasaurus, whom I've been following for a while. If you have shorter nails, she's the girls to follow, because hers are just stunning! 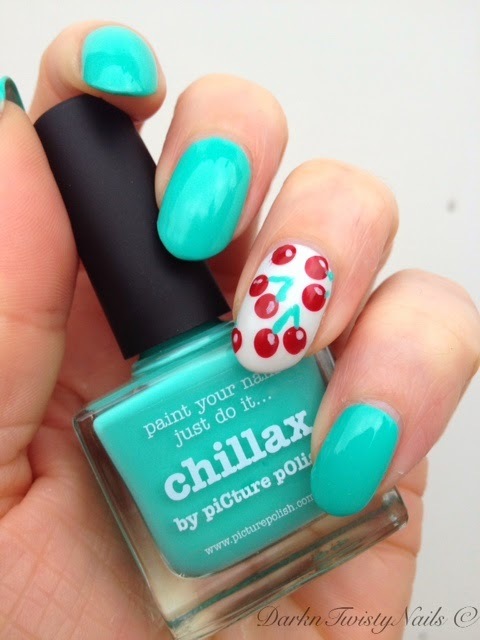 If you want to read all about how she came up with this polish, click here. The formula is so nice, it's like applying a smooth cream instead of a glitter. It's one of those polishes that is a little sheer on the first coat, but pretty much opaque on the second. You might need 3 coats if you do really thin coats, but it dries so fast, 3 coats is a breeze. 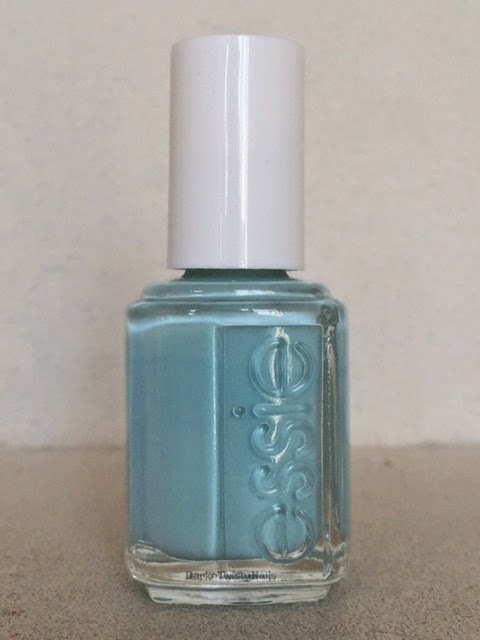 Turquoise is a tricky color for me to wear, it can wash me out really quickly, so when I first got this polish, I was really scared this wouldn't suit my skintone. But I have to say, I really like it. It's just bright enough for me to pull off. 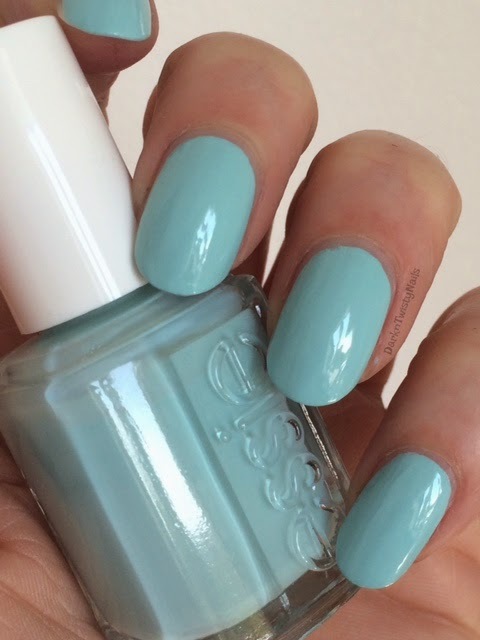 I always prepare myself for stained nails when I wear turquoise, blue or teal, but I didn't have any issues with this polish. No staining to be seen and that's always a huge plus in my books! Picture Polish is available on their website and via a lot of international stockists like Harlow&Co, Color4Nails and Pretty Polish. Just check their listing to see which one is easiest for you. What do you think about Fool's Gold? Do you love it as much as I do? But with all that lovely sun, I was in the mood for a nice holo polish. A England Princess Sabra is an olive golden holo polish. 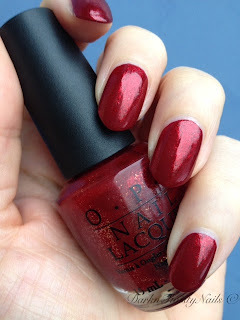 I know that's possibly the worst description of a polish ever, but when you see the swatches, you'll totally understand, trust me! The formula is really nice, A England is famous for their one coaters, but this isn't quite there. If you do a thick coat, you could get away with just one, but I prefer 2 thin coats. It's really easy to paint and it dries fast and shiny. This is what you'd call a pretty/ugly color and it's not for everybody. I already know some people who are going to think that this is the ugliest polish ever released by A England, but I think it's stunning! There's just something about the olive golden tint with the subtle holo that suits my skintone really well. I love this type of holo, even though it's technically a linear holo. It's so subtle, it looks more like a scattered holo and it doesn't take away from the gorgeous color of the polish. This looks every bit as pretty in low lighting as it does in full sun. 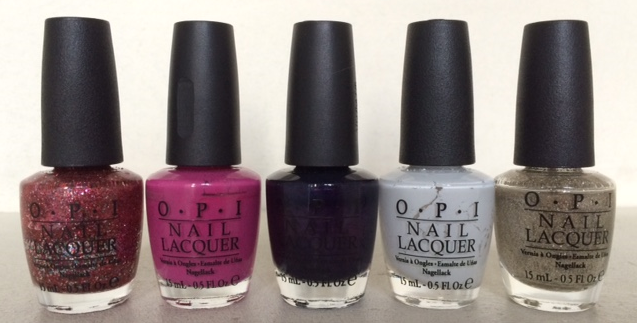 Do you like and rock olive polish and what is your favorite A England polish? I love purple polish and own quite a few of them, but somehow I never seem to be in the mood for purple nails. I always go for the same kind of colors (red, blue, green or something DarknTwisty), but a few months ago I decided to try to step outside my comfort zone more often and wear different colors. Zoya Savita is one of the first polishes I wanted to wear. It's a stunning deep purple with a pink shimmer. This is part of the Matte Velvelt collection, just like Veruschka that I showed earlier. The formula is very nice, but because it's a matte velvet polish, this dries really fast, so you have to work fast, or you'll end up with a streaky finish. It's opaque in 2 coats, but if you do a thick enough coat, you can definitely get this opaque in just 1. Even though it's a matte polish, it does have a bit of shine to it and I actually prefer this velvet matte finish to a normal matte finish. When you add a top coat, the pink shimmer is even more noticable on the nail and even though I really love it shiny, I prefer the matte version. It's just a little more special. The color just takes my breath away! It's so pretty, I absolutely love it! The pink shimmer gives a lot of depth to it and makes it perfect for every season. I'm so happy Zoya decided to re-release this collection, I'm just hoping they'll re-release the chartreuse one too (Mitzi I think? ), but I doubt they wil. 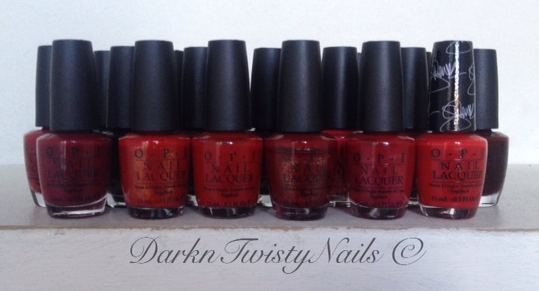 Have you picked up any of the Matte Velvets or do you avoid matte polish?